NOTICE: The free preschool supplies program has paused. Please feel free to sign up now to begin receiving supplies when we start up the program again. Thank you! 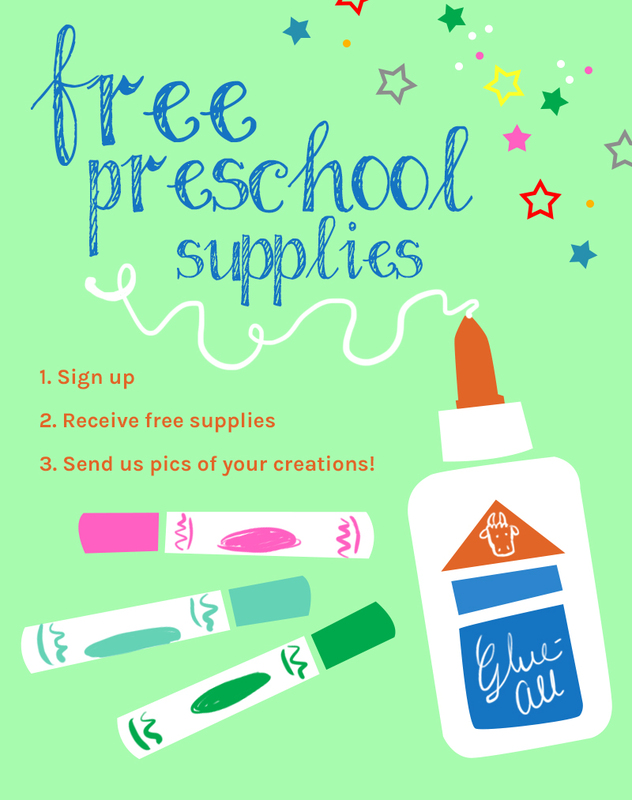 The Free Preschool Supplies Program is an opportunity for preschool teachers and early educators to receive a free classroom supply each month. You sign up with our form below. We send you a supply to use in your classroom. You get creative and come up with a project or activity to use the supply in your classroom. Send us what you did! The only requirement for participation in our program is that you take pictures during your activity and write about it. If we receive your submission, you’ll be eligible to continue receiving the supplies each month. Do you know what else?! NOTICE: The free preschool supplies program has paused. Please feel free to sign up now to begin receiving supplieswhen we start up the program again. Thank you!